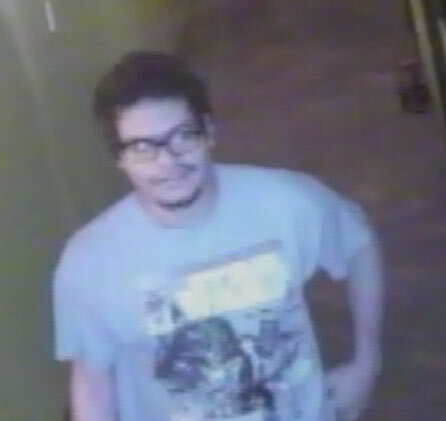 HOUSTON -- When a man entered Therapeutic Thai Massage in Houston, Texas earlier this month, employees thought he seemed familiar, but they weren't totally sure. "I couldn't recognize him from the first time he came so that's why I can't believe it," said employee Kim Phanouvong. Once the therapist went into the room they were more confident it was the same exposer from two months ago. Police say the customer was completely naked this time on the table and appeared to be looking for much more than a legitimate therapeutic Thai massage. Phanouvong said, "It's been a big relief and we're glad they go him in the jail now so we don't have to worry if he might do it again." Houston police say 21-year-old Joshua Pitts is accused of indecent exposure. They say he first came into the massage business in June, exposing himself down the hallway and in the lobby. This time he looked a little different. They say he had gained some weight and grown facial hair but employees got his license plate and wanted to make sure he knows they aren't that kind of business. "Hopefully nobody out there will do the same thing, come here to try and act like that. This is not the place where they are going to come here and disrespect our therapist like that," said Phanouvong. Pitts faces two counts of indecent exposure. We checked his past and found a theft charge in 2013. He was placed on probation.